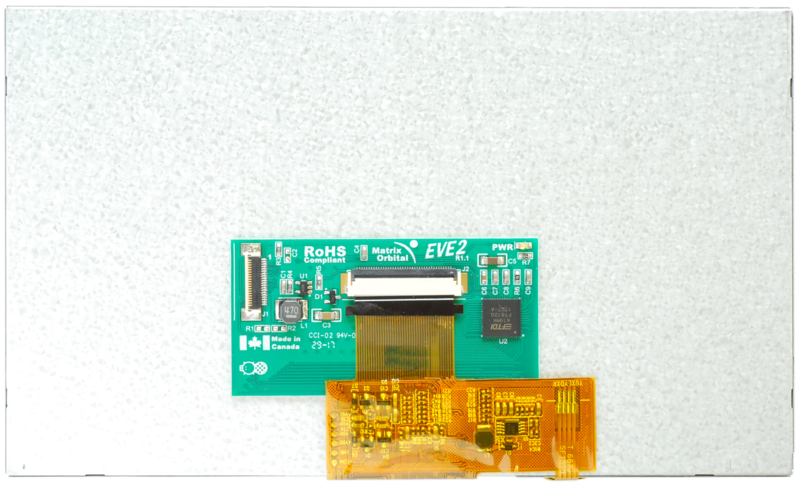 The EVE2 series contains a stream-lined graphics controller with add-on features such as audio playback and touch capabilities. 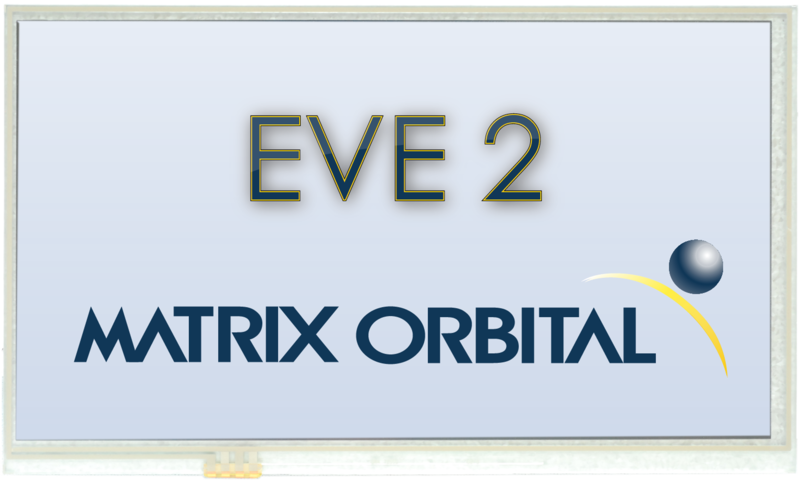 EVE2 screens consist of a rich set of graphics objects (primitive and widgets) that can be used for displaying various menus for a range of products including home appliances, toys, industrial machinery, home automation, elevators, and many more. SPI Serial Peripheral Interface protocol uses four communication lines to communicate quickly over short distances from one master to mulitple addressable slave devices. A display is a slave device. RAM Stores all images and fonts used on the device.